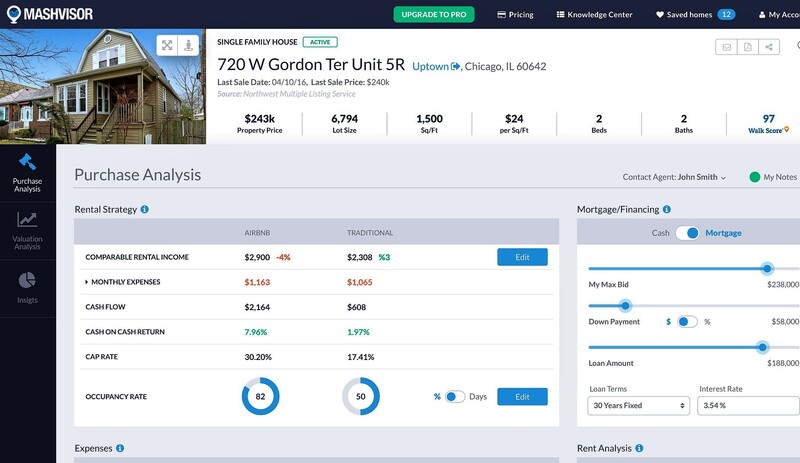 Use predictive real estate analytics to ﬁnd lucrative traditional and Airbnb rental properties in a matter of minutes. Try Mashvisor for 5 days. No risks, and a 30-days money guarantee. 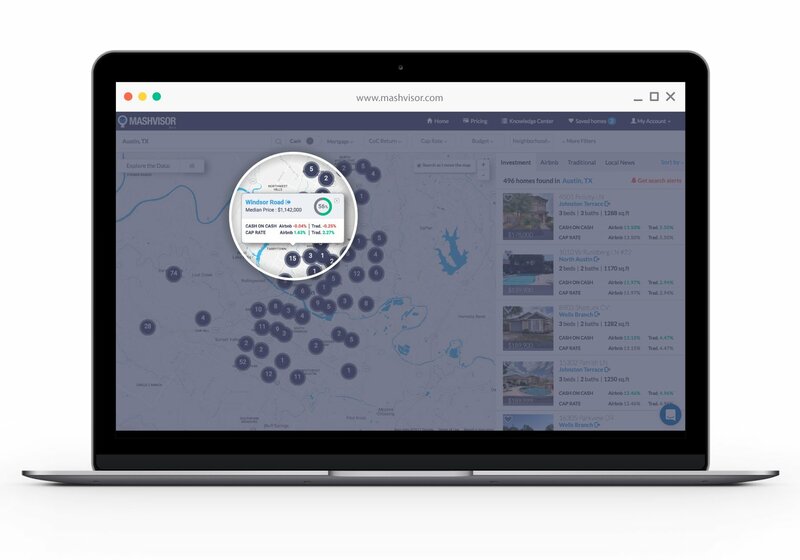 Mashvisor is a real estate investing platform designed to help real estate investors find investment properties all around the U.S. as well as acquire data comps and real estate analytics to help them determine the best investment opportunities in their city of choice. In other words; Mashvisor is an all-purpose digital workbench for all of your real estate investment needs. 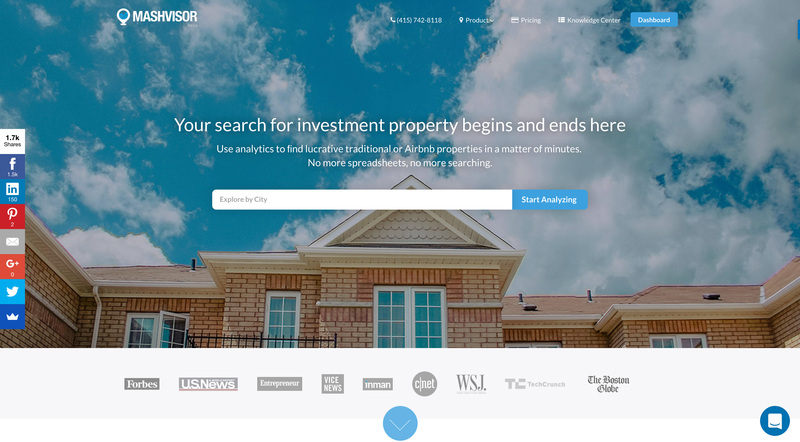 An effective search tool with several filters that allow you to customize your search based on your investment criteria. 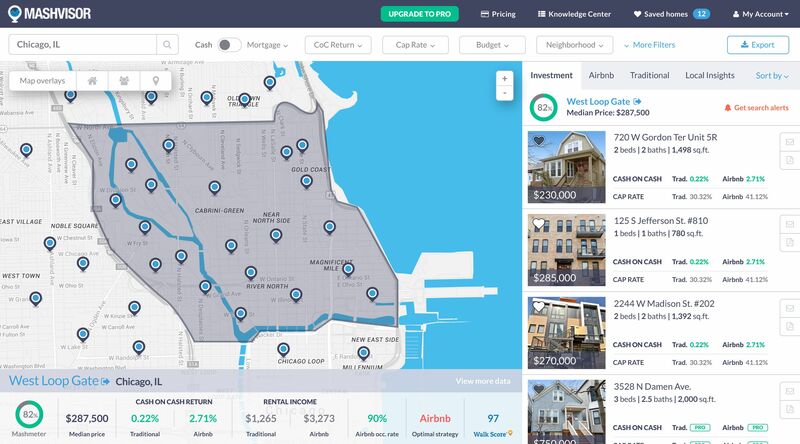 Real estate analytics and projections for the returns of an investment property based on qualitative and quantitative data. 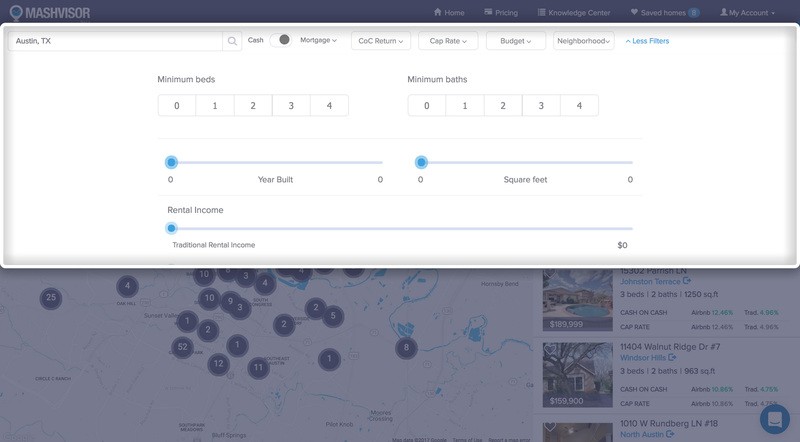 Investment property calculator that allows investors to quickly calculate the different values and metrics based on their mortgage, expenses, and rental income. A customizable expenses tool that has readily available values and numbers based on the average costs in the area. For investors: We have a number of professional and expert real estate agents that cover multiple cities and states and who are constantly seeking new investors to help them close their deals. For agents: We have thousands of high-quality investors who are seeking the next big opportunity for an investment, and our agents can now connect with these investors and help them in their venture. The Msahvisor platform might seem a little overwhelming at first due to the large amount of data that it provides. However, you can learn about any of the tools or features on the platform by simply hovering over the little question mark next to any tool to see an explanation of what the tool does. We also have a number of different blogs and guides that can also help you learn about the platform and about real estate investing in general in order to make your experience with Mashvisor as seamless as it can be. Filter properties based on their projected returns (Cap Rate and Cash on Cash Return). Filter properties based on property type (Single-family homes, townhomes, condos, vacation houses). Set your budget range to filter out any properties that fall above or below your target budget. With Mashvisor, you can export, print out, or share a property’s report which includes all the information and data related to that property. 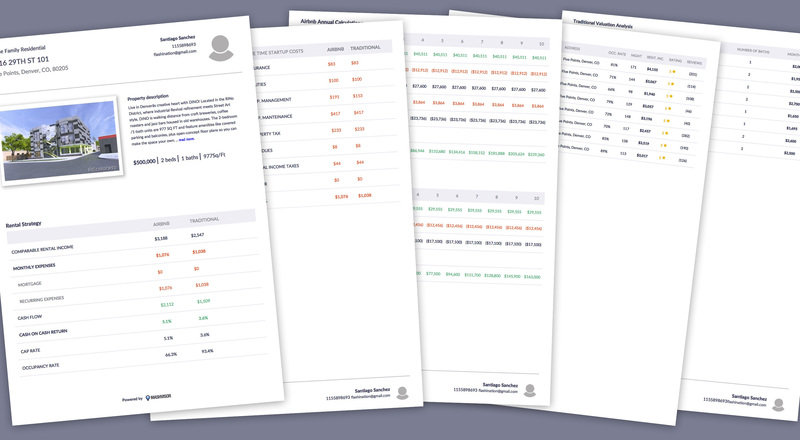 You can send the report to your real estate agent, a family member, or a friend to get their opinion on the property, or to compare a number of different properties by printing out their reports and doing a side-by-side comparison. Everyone can use Mashvisor and find value in it. Whether you’re a real estate agent looking to build a business relationship and acquire new leads, a beginner investor looking for an easy way into the market, or an experienced investor looking for a tool to enable you to compete better with other investors. Mashvisor is a tool that can bring value to anyone in the field of real estate investing.